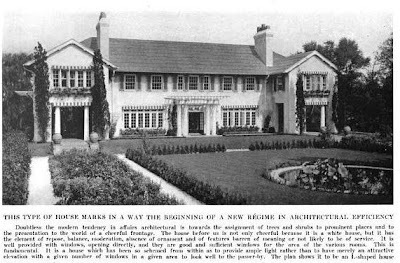 'Cedarcroft', the Arthur Wickes Rossiter Sr. estate designed by Albro & Lindeberg c. 1906 in Glen Cove. Rossiter was a member of the stock brokerage firm of J.W. Davis & Co. and was president of the board of the Hospital for Special Surgery. Rossiter's second marriage was to Ella Fuller Guthrie, daughter of William D. Guthrie who owned 'Meudon' in Lattingtown. Click HERE to see 'Cedarcroft' on google earth and HERE to see it on Bing (just for you TPR). thanx, zach. maybe theres hope for the younger generation yet. however, the google shot shows cedarcroft but i don't think you got the right area on bing cause nothing in that neighborhood looks like. theres several i've seen before but where is cedarcroft. See this is why I don't like bing. When you click the bing link...the house right in the center, tan with tan roof...that's it. Charming house, made all the more so by those striped awnings. It looks a bit like the setting for a musical comedy. And I mean that in a good way. Ella Fuller Guthrie was married three times. Her second husband was a man named Eugene Kimball who was the widower of Edith Gibb (sister of Mrs. Herbert Pratt (The Braes), Walter Gibb (Old Orchard), Mrs. William Hester (Wilada point) and Arthur Gibb (Iron Acton- Red Spring Colony)). Eugene and Edith Kimball owned a small estate on Crescent Beach Road in Glen Cove- directly across from the Samuel Brewster House, The Birches. 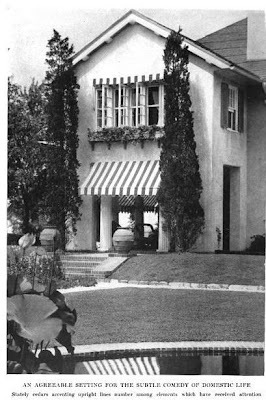 Ella Fuller Guthrie inherited this house from Eugene Kimball when he died in the early 1930's, and Arthur Rossiter moved there from his original house when he married her. They rechristened the Crescent Beach Road house "Cedarcroft" as well. Mrs. Rossiter still lived in the house up until the early 1980's when it had literally fallen to ruin around her and the grounds were completely untended. Funnily enough, I am told that three maids still worked in the house. The collapse of her bedroom ceiling finally obliged her family to move Mrs. Rossiter to a local nursing home. The house still exists, horribly mutilated (I think it's been faced with cheap stucco)and the property subdivided with a complete lack of sympathy-banal development houses run almost to its front porch. Much as I agree that the tagging feature of google earth is great, Bing can't be beat for a great bird's eye viewing experience---one really gets a sense of the property. And what great stories about this place----and what a shame that it's another of those places that people couldn't just keep the way it was designed. People just don't seem to get it. Actually- THIS Cedarcroft was owned for many years by Bouvier Beale, son and brother of big and little Edith Beale of Grey Gardens fame.It is currently owned by his son. Although the property has been subdivided and it is rather overgrown, it still looks much as it did in these photos. 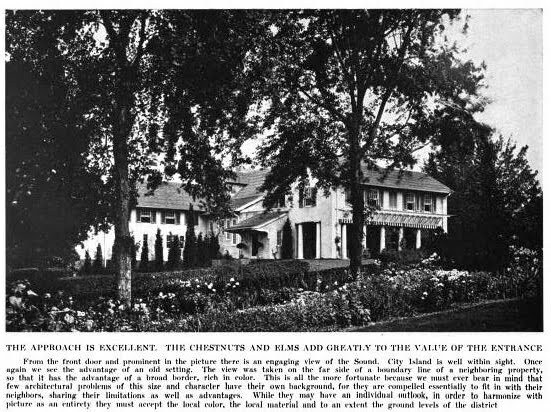 The OTHER Cedarcroft (about 1/2 mile away) is the one that has been so ill used in recent years. Although they use Google Earth photos, full credit show go to wikimapia.org.